A hand crafted natural and man made fibre mattress giving exceptional comfort and support for the price. 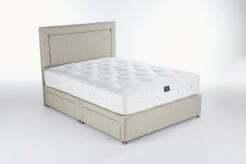 This mattress simply can’t be beaten given the components and price. Tailored tensions are a standard. 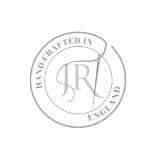 The Artisan 1500 has been specifically built to emulate the feel of The Artisan Naturals and priced to achieve a stunning mattress at an affordable price. We have used as best we can a similar range of components to The Naturals in order to garner the closest match in terms of support and comfort levels. For example; The insulating layer (1200 gsm Cashmere) is same weight and similar in overall quality and feel to the Mohair as used in The Naturals – this is the most expensive component in this mattress – but critical to achieve the correct support and comfort properties. This model comes with a 5 year guarantee.